First Banana Seeds to sprout! 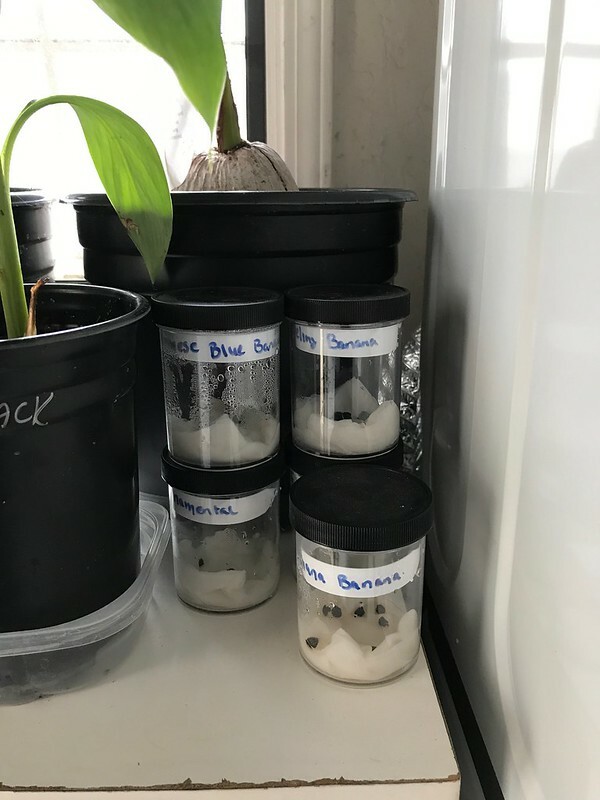 Re: First Banana Seeds to sprout! I just got 5 more seeds. I hope I can get a few more seeds to sprout this time. My first banana seeds sprouted. Anyone got a line of those jars being used for germination in that photo? They look like a great size! !